As carriers worldwide prepare for 5G communications, chip suppliers and test equipment vendors are evolving their products to meet the challenges of the 5G era. The technologies that are enabling 5G communications are creating new challenges for embedded system developers. Faster mobile broadband data rates, massive amounts of machine-to-machine network interfacing and daunting low latency constraints all add to the complexity of 5G system design. Feeding those needs, chip vendors over the past 12 months have been releasing building blocks like modem chips and wideband mixers supporting 5G. 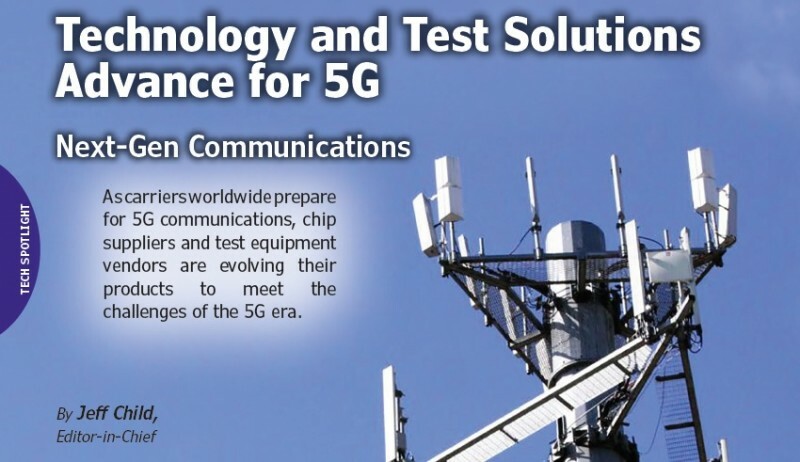 And test equipment vendors are keeping pace with test gear designed to work with 5G technology. With standards expected to reach finalization around 2020, 5G isn’t here yet, But efforts worldwide are laying the groundwork to deploy it. For its part, the Global mobile Suppliers Association (GSA) released a report in October 2017 entitled “Evolution from LTE to 5G.” According to the report, there is a frenzy of testing of 5G technology and concepts worldwide. The GSA has identified 103 operators in 49 countries that are investing in 5G technology in the form of demos, lab trials or field tests that are either under way or planned. Operators are sharing their intentions in terms of launch timetables for 5G, or prestandards 5G. The earliest launch dates currently planned are by operators in Italy and the US. Those early launches are necessarily limited in scope to either specific applications, or in limited geographic areas where they will function as extended commercial trials. Figure 1 shows the countries and the current planned dates for the earliest 5G launches in those countries. Here is a map of pre-standards and standards-based 5G network plans announced. 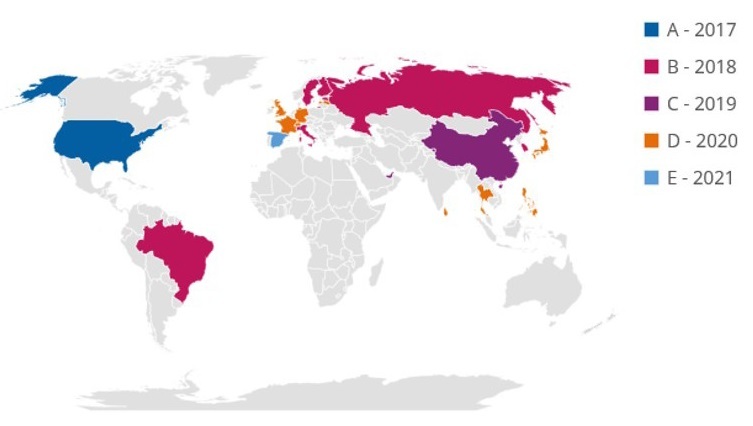 It shows the countries and current planned dates for the earliest 5G launches in those countries. (Source: Global mobile Suppliers Association (GSA)). Intel and Qualcomm have been the big players to watch for 5G enabling technologies. In October 2017, Qualcomm Technologies, a subsidiary of Qualcomm, hit a significant milestone successfully achieving a 5G data connection on a 5G modem chipset for mobile devices. The Qualcomm Snapdragon X50 5G modem chipset achieved speeds and a data connection in the 28 GHz mmWave radio frequency band. The solution is expected to accelerate the delivery of 5G new radio (5G NR) enabled mobile devices to consumers. Along with the chip set demo Qualcomm Technologies previewed its first 5G smartphone reference design for the testing and optimization of 5G technology within the power and form-factor constraints of a smartphone.